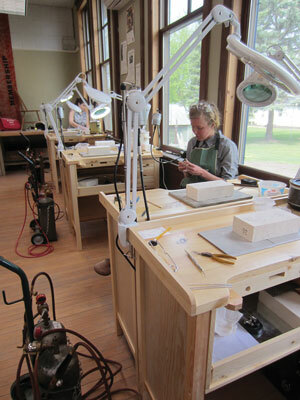 The Milan Village Arts School Framing Studio provides a unique opportunity for students and artists to professionally frame their artwork. 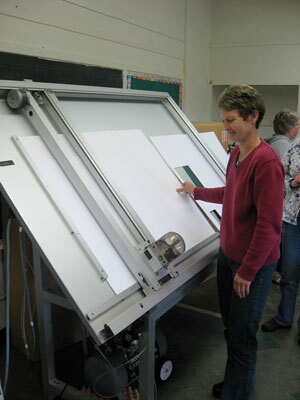 Equipped with a computerized Wizard mat cutter, the Framing Studio is a fully-functional framing workshop. Artists can make frames, cut mats and glass, back their artwork, add bumpers and hanging wire, and leave with a professionally framed painting, print, or photograph. Students who complete the Picture Framing Workshop on this page will acquire all the skills necessary to access this studio. MVAS has a large selection of matting in the studio for purchase. The school also has an account with TC Moulding in Minneapolis and students can order framing materials at wholesale prices. Requirements: Completion of a Framing workshop and MVAS Membership. Studio fee: $5/hour, $10/ half day, $20/ day. Most of the supplies including, tape, staples, backing paper, wire, and bumpers are complimentary. Use of the studio is by appointment. Past members may return to use the studio for a small additional fee of $5 in addition to the fees listed above: $10/hour, $15/half day, $25/day. The Weaving Studio gives students the opportunity to create beautiful rugs from old jeans, blankets, and other articles of clothing. Outfitted with six large floor looms and several smaller table looms, the studio is well equipped to meet all our students weaving needs. 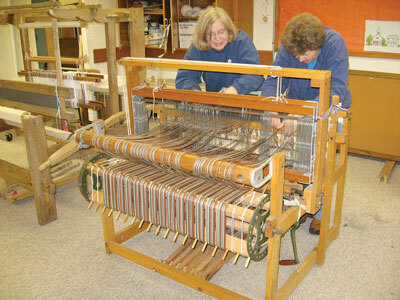 Students can either use the studio by appointment or join a weaving group that meets on arranged dates over the year. 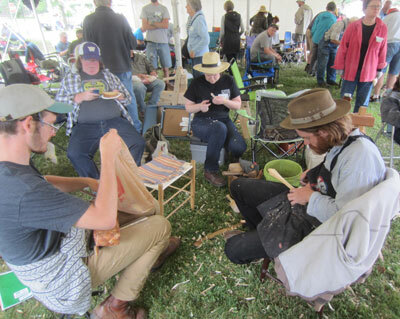 The Weaving Rugs class listed on this page will provide you with all the elementary skills needed to get weaving. Requirements: Experience with looms and MVAS membership. Studio fee: There is no fee. Looms are maintained with warp at no cost. Students are required to supply their own material.